Successfully Added HK Warehouse HOMTOM HT16 Smartphone - 5 Inch HD Screen, Android 6.0, Hot Knot, MTK6580 Quad Core CPU, Two Cameras (White) to your Shopping Cart. 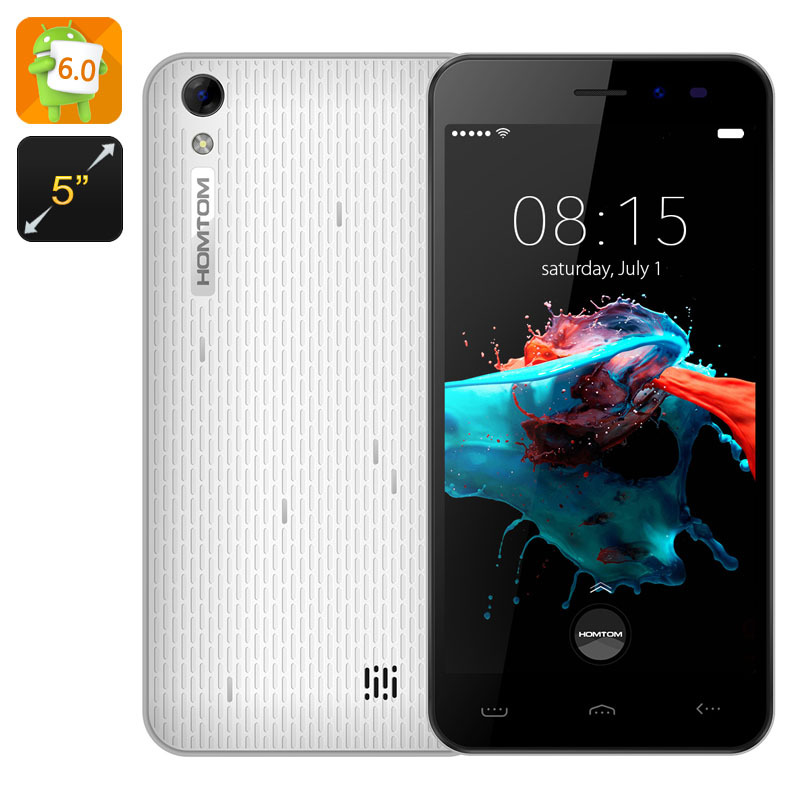 Enjoy the multiple features of the HOMTOM HT16 Android 6.0 smartphone — and it has a lot to offer. From the 5 inch HD screen to the latest Android UI, you have lots and lots to look forward to. Make use of all the upgrades that come with Android 6.0. Sure, you will have Play Store access, but on top of that, you will be able to fully enjoy Google Now on Tap — a quick way to search for needed information. Tired of your phone always running out of battery? Android 6.0 comes with Doze Mode that extends the life of your smartphone’s 3000mAh battery. With a redesigned app drawer, 200 more emojis and more — you will surely have loads of fun exploring the new features. The 5 inch HD screen is always good news. It's quite compact, yet definitely big enough for comfortable media viewing, web browsing and more. 3G connectivity ensures easy communication and is available on two SIM cards. The MTK6580 Quad core CPU makes operation smooth and easy — even if you have several applications open at the same time. 8GB of internal memory should be enough for your basic media and apps — but go on and expand that with 128GB more on an SD card. Don’t forget about Bluetooth 4.0 and hook up wireless speakers, headphones and other gadgetry. Fine phone. Works fine for my daughter. I am satisfied.